The Woolly Brew: new fancy yarns in the shop! new fancy yarns in the shop! 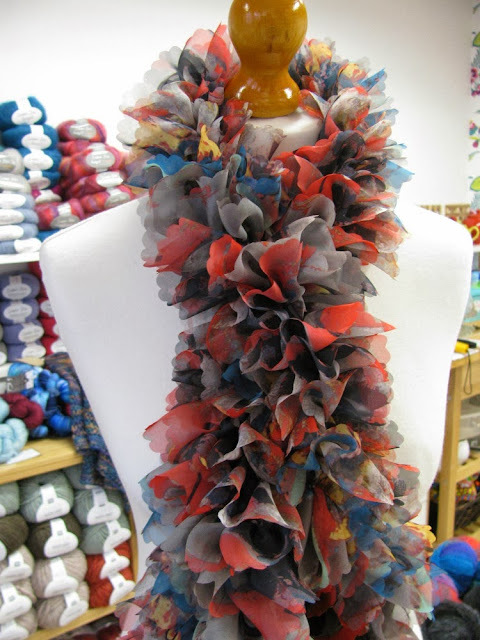 They are often quick to knit - you can make a ruffle scarf in 1 or 2 evenings. They look a bit different to what you can buy in the shops - get a unique scarf for less than £12. Its great for beginners or those looking for a quick fix. Get all the benefits of knitting (relaxation, sense of achievement and the satisfaction of creating something) without investing too much money or time*. Tutu Plus is the plus sized version of Katia's Tutu, a ribbon yarn. It is broader and has scalloped edges. We have 7 shades in the shop. one ball = one scarf! This yarn is very soft. Unbelievably soft! And one £5 ball will knit a luxurious and cosy neck warmer. We're also thinking this Faux Fur would make a cuddly hot water bottle cover and would be great for cushions and blankets! 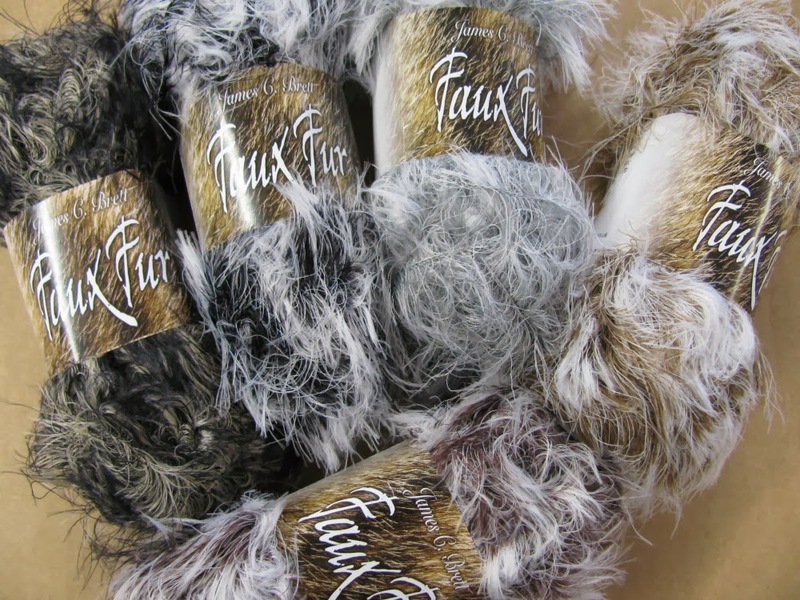 The Faux Fur yarn is knitted normally, whereas the Tutu Plus and Cha Cha Cha are knitted abit differently. With these yarns you knit into the top edge of the yarn. 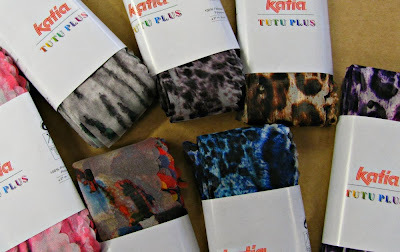 The Tutu Plus has pre-punched holes which you stick your knitting needle through. 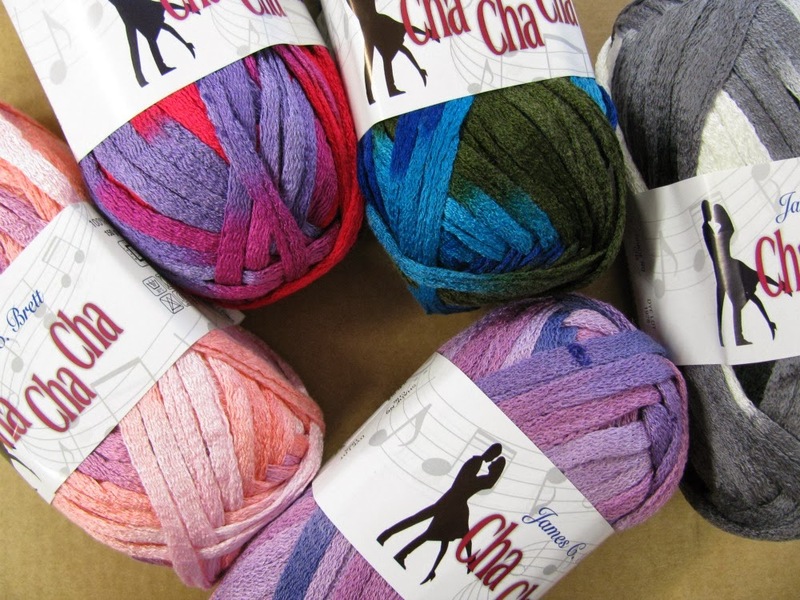 With the Cha Cha Cha you pierce the yarn with your needle tip. All these yarns are easy to knit with and we're happy to show you how! *If you're looking to invest some more time and what to expand your knitting repertoire then please pop into the shop to see all our samples and yarns!